LabEquipmentsManufacturersIndia is a trusted electrical lab testing equipment manufacturers, suppliers & exporters in India. We have an extensive range of electrical laboratory testing instruments available at affordable price. 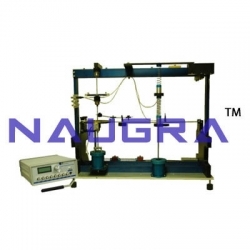 Our electrical lab testing instruments are used in many engineering schools, colleges, universities, vocational training centers, industries, ITI training institutes around the world. Few of our Electrical Laboratory Testing Equipment are Central Control Panels, Electric Motors, Testing Transformers, Generators, Experimental Setup Panel Boards, Electrical Drive Lab Equipment etc.